Pennsylvania birthed some incredibly well-known artists into the rap game including The Roots, Eve, and Chiddy Bang. Here we have a list of some lesser-known but equally enjoyable rappers from Pennsylvania. Check them out! Born and raised in Philadelphia, rap artist Chill Moody shows off his unique style of rapping. He has been compared to rappers such as Common. He has a knack for hearing exceptional beats. He also shows his true loyalty to his city by not wanting to leave. 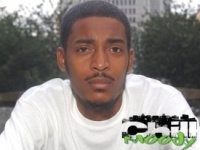 Chill Moody plays at many local hot-spots in Philadelphia (TLA, Trocadero, Kimmel Center etc.) and is constantly on such popular radio stations as Power 99fm and Hot 107.9fm. He also directs videos, owns his own clothing line, and aspires to be an actor. You can hear many of his songs by downloading them from his website. Be sure to check out when and where he is playing next! Not Just another Philly Rapper! 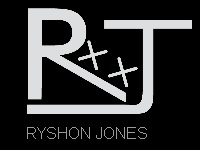 Ryshon Jones really redefines the rap industry with his unique style and lyrics. Compared to a young Joe Budden, Ryshon Jones refuses to hide his emotions in songs. He leaves it all out there and the raw emotional power truly shines through in his music. Despite his hip-hop and rap style of music, Ryshon says he needs to listen to other genres to really get inspired. One of his main sources of inspiration comes from the band Coldplay and their rock genre. Make sure you check out local spots he'll be playing at from his website. In addition, his website has lists of his songs and videos to listen and watch. Be prepared to hear his untamed emotion! The main difference between poetry and rap is that rap is put to a beat. Many people have a difficult time crossing over from one to the other, but not Sugar Tongue Slim. This Atlanta born poet made his breakout into rap in early 2000 when he moved to Philadelphia. Since then, he has been a forerunner in the underground rap game of Philadelphia. He is well known for his wittiness with words stemming from his roots in poetry. He is constantly fusing no-nonsense sayings and historical figures into his music, creating a blend of intriguing style that leaves its listeners dazzled. His albums are available to download from his website. Give it a listen, you won't be disappointed! 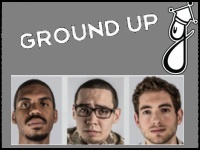 Ground Up is a trio of rappers consisting of Alexandar Azar, Malcolm McDowell, and Bijan Houshiarnejad. They formed their group in the Fall of 2008 as freshman at Temple University. Two of the members actually attended Temple, the third member, Bijan, was a lifelong friend with Azar. 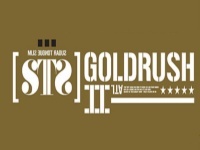 They have released 9 mixtapes since their inception into the rap industry, all met with increasing hype and popularity. Their music can be purchased from iTunes, but some free tracks are available from their website. Touring information is also available on their website. They tour in the tri-county area going as far north as Canada and as far south as South Carolina, but the majority of their shows take place right in Philadelphia! 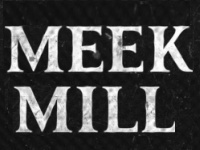 Meek Mill is a Philadelphia born rap artist who has broken out into mainstream music. He signed to his first major label in 2008, but didn't release a mixtape until signing with another label in 2011. He has since gained critical acclaim collaborating with such artists as Drake, Big Sean and Rick Ross. He has achieved nationwide recognition for his album "Dreams & Nightmares" with his single "Ima Boss" peaking at #51 on the Billboard Hot 100 chart. He still tours around Philadelphia, but as a result of his fame, also tours around most of the country. His website has a list of tour dates. Be sure to check out this celebrity next time he comes to Philadelphia!